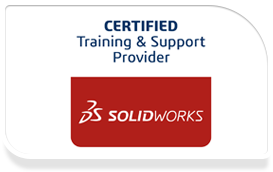 FEA Training Consultants Inc. offers comprehensive technical support for our SOLIDWORKSsubscription customers.Our staff of degreed mechanical engineers and Certified SOLIDWORKSSupport technicians works hand-in hand with you by phone , email or advanced desktop support to solve your technical problems. For support issues that are difficult to visualize or that cannot be resolved by electronic submission or telephone support, FEA Training Consultants technical representatives can connect to your computer over Internet via GoToMeeting to view your desktop. If needed, FEA’s support staff can take control of your screen and walk you through your models to solve your problems.